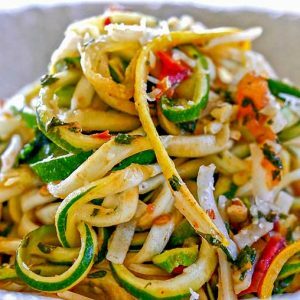 I was thinking, it’s time to make a healthy low-carb Italian pasta dinner, don’t you agree? 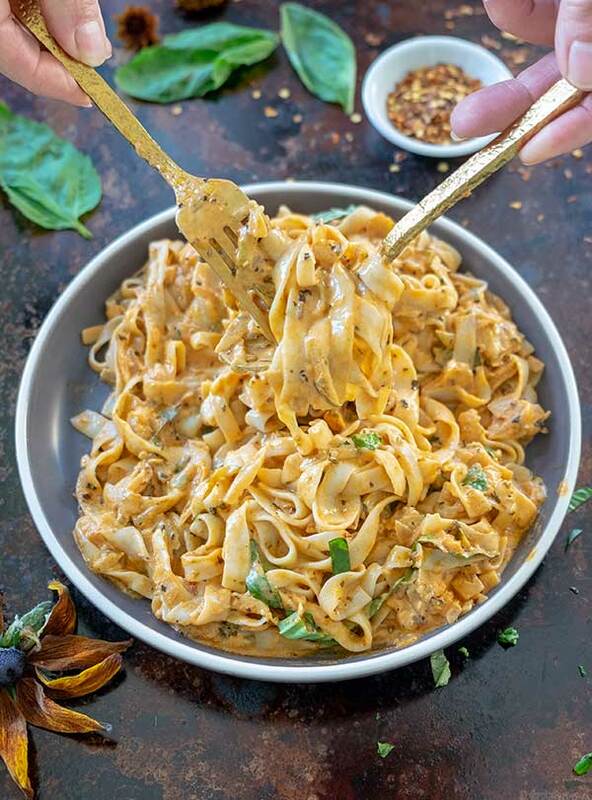 This is definitely the keto pasta recipe to add to this month’s healthy recipes. 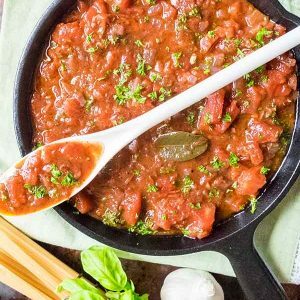 Just imagine a low carb pasta smothered in the most flavourful Italian tomato cheese sauce. The sauce is spiced up with oregano, basil and bay leaves and to give the sauce some texture I added grated zucchini. To make the sauce deliciously creamy, I added light cream cheese. Honestly, you can eat the sauce by spoonfuls it is that good. 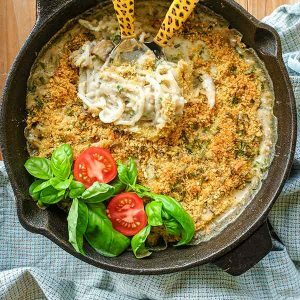 The recipe is super simple to make, all you need is one large skillet if you don’t have one you can also use a large pot. First, sauté the onions with garlic, add the herbs and spices, tomato sauce, some broth and zucchini. Cook for 20 minutes, then stir in cream cheese and fresh basil. Once the sauce is finished, stir in the low-carb pasta. Remove bay leaves from the sauce and stir in cream cheese and some fresh basil cook until the cheese has melted. About 3 minutes. Add the fettuccine and cook over medium heat until the pasta is heated through and the sauce starts to bubble. About 3 more minutes.